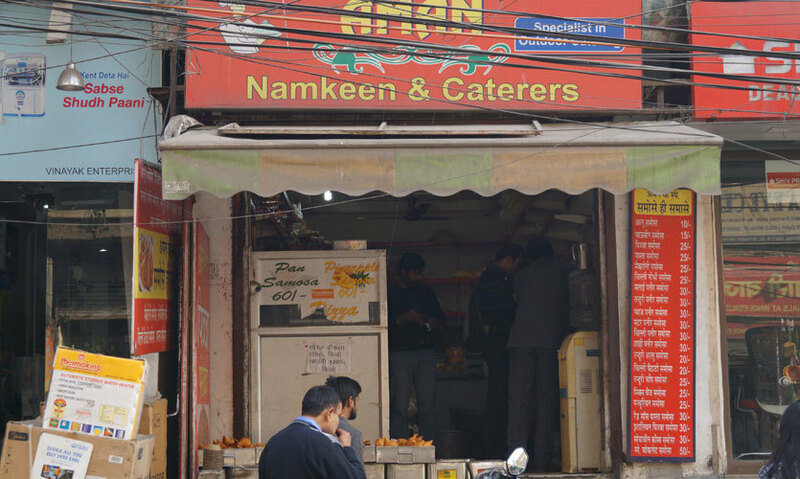 Being samosa fanatics, our search for distinctive variants of samosas ended at this place going by the name of Aman Namkeen Bhandar aka “Samosa King”. 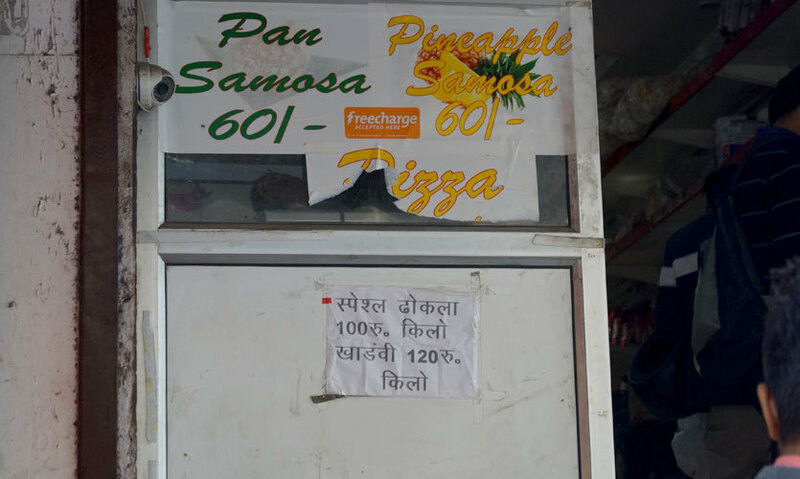 Located in the busy lanes of Krishna Nagar, reaching here was nothing less than an adventure! Unperturbed by the snags in our way, we finally reached the shop! Considering it not less than a victory in our own terms, in a very excited tone we then went on to order samosas that keep in mind are *only available after 3 PM*. It’s a small takeaway shop, next to Lovely Public School, and is forever crowded! As one climbs up the stairs, there's a small counter on the left side and on the right side there is a small slab where one can keep their food and eat. This variant had to be mandatorily consumed for its name! Just the thought of combining these two most sought out things together was the quirkiest idea they could come up with. The highlight of this samosa was its stuffing. It had corns, olives, jalapenos and beans mixed in an Alfredo sauce and mozzarella cheese *wow*. 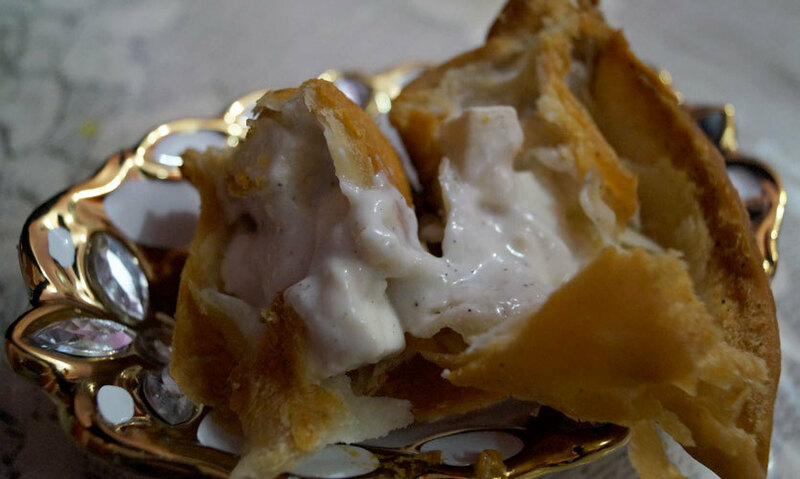 The mozzarella cheese was oozing out of the freshly fried samosa. It was a treat to the eye and taste buds! Our love for paneer made us order this! 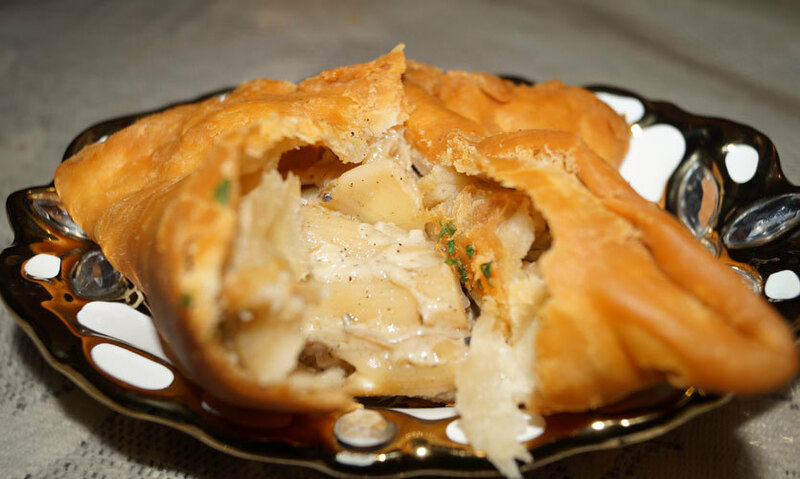 The dough which forms the outer covering seemed fresh and evenly fried forming a nice crisp outer base and it had extensive fillings in it. 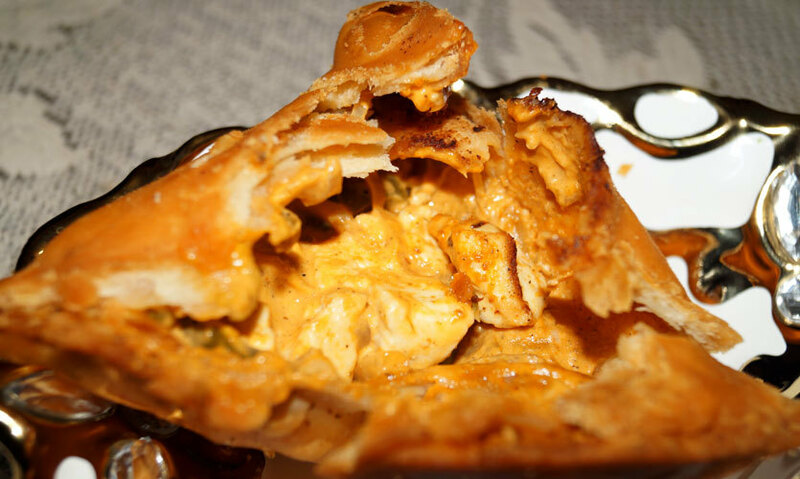 The paneer baked on the tandoor was stirred in a curry which formed the stuffing, having an aromatic flavour of its own. The big chunks of the paneer was fresh, well marinated in the curry and melting! Don't miss this one. Giving a desi touch to an Italian dish is a strenuous task but not here! 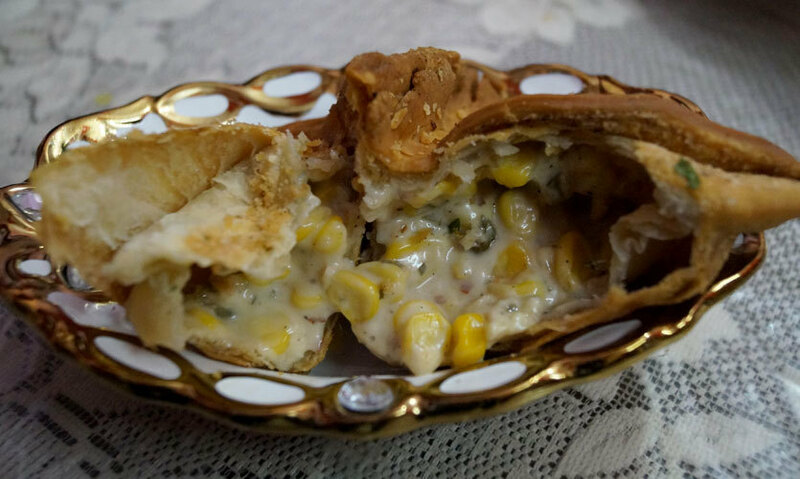 The samosa stuffing here was white sauce penne pasta, the pasta was perfectly boiled and the cream/white sauce was nicely flavoured with black pepper, oregano and was absolutely cheesy. We could easily go for seconds and thirds! 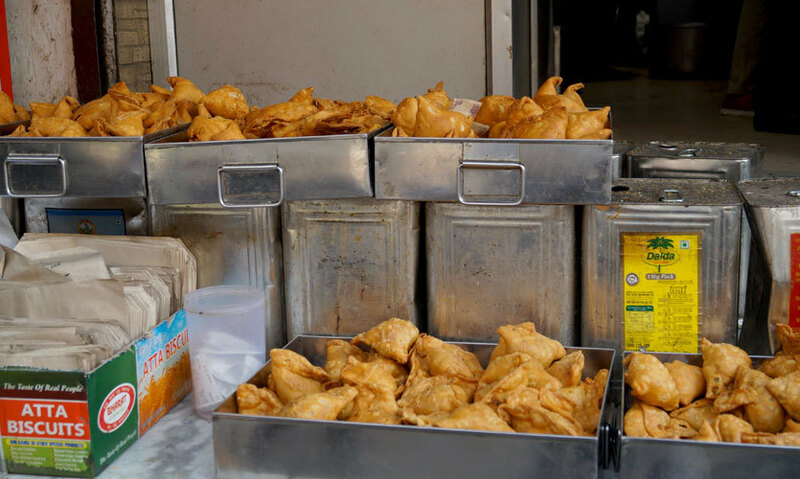 Noticing the demand of Malai Paneer Samosa, we were convinced to order this one! The paneer is marinated in a blend of spices before being cooked on a tandoor and the same is then stirred in a cream based mixture which had a sweet and salty flavour with a tinge of pepper in it! We were truly enamored of this variant. No wonder people travelled long distances just to grab this variant! 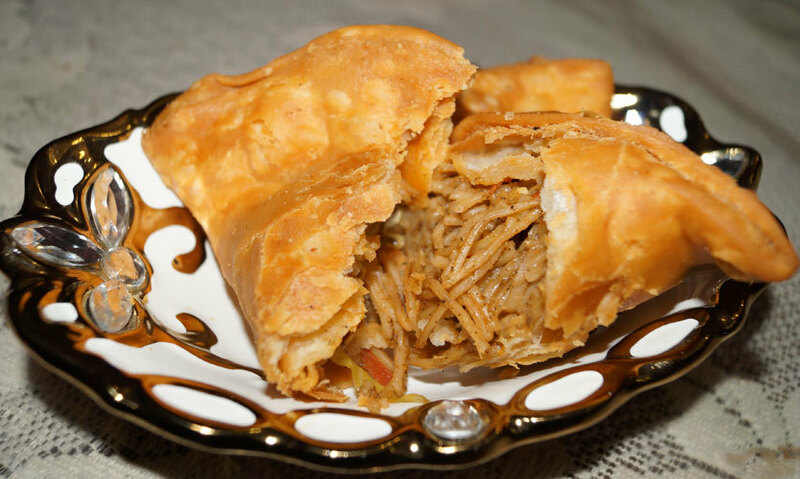 We love chowmein, we love samosas and hence this variant became our obvious choice! Gigantic in size and a humongous amount of filling left us salivating. 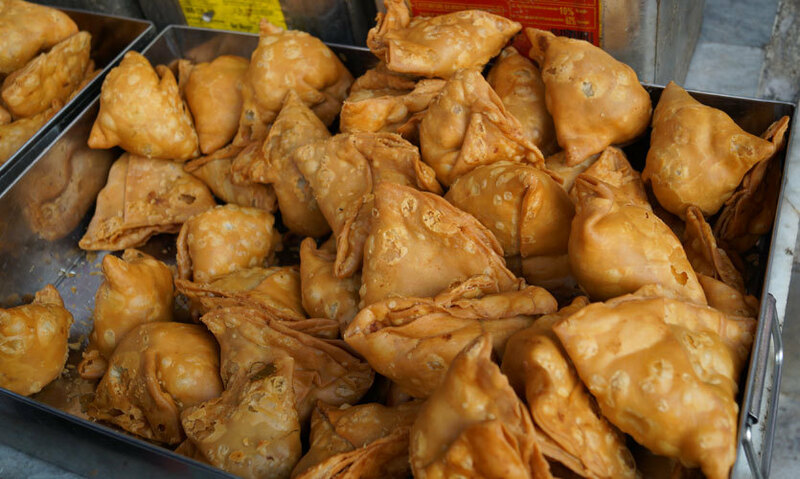 The outer of the samosa had a perfect crunch, was less oily and extremely hot. The first bite, in contrary to our expectations, did not create that impact as the filling did not live up to our expectations owing to the noodles not being properly boiled and there was too much soya sauce in it! The place is a tad cumbersome to locate and you should use Google Maps to get here rather than being dependent on the paan wallahs. Also there's no parking available so choose your mode of communication wisely! But on the positive side, we loved them for the efforts they've made in creating such an amazing menu! Head on over and thank us later!